A task force set up by President Barack Obama to look into police behavior across the country suggests that independent prosecutors investigate officer-involved killings, though it was noncommittal on the use of body cameras. Coming with 59 recommendations requiring research, action and further study, the report fell short on addressing racial bias training for police. In addition to shying away from making body cameras obligatory in police interactions with citizens, it did not analyze controversial policies – such as “Broken Windows” – that take aim at low-level crimes. The 11-person task force on police reform, due in April, had 90 days to submit best practices and recommendations detailing how police can continue to fight crime but build public trust following the high profile deaths of unarmed black men Michael Brown in Missouri and Eric Garner in New York. There were to be seven public hearings but so far only four have taken place – two in Washington, DC, one in Cincinnati, Ohio and another in Phoenix, Arizona. None were held in New York or St. Louis, where Brown and Garner were killed. One of the main recommendations was to create a National Crime and Justice Task Force to suggest more ideas. Another was that police departments establish external and independent teams that employ outside prosecutors to handle investigations of fatal shootings by officers. “A lot of our work is going to involve local police chief, local elected officials, states recognizing that the moment is now for us to make these changes,” said President Obama before starting a meeting with the task force on Monday, according to the Associated Press. There were recommendations on training and cooperating with communities of color, including an NAACP-endorsed idea that tasks police with collecting data about race and other demographic statistics related to the people they stop and arrest. Meanwhile, the task force suggested placing more of an effort on record keeping, so that police departments can log when and where police use deadly force during arrests and when an individual is in custody. Previously, police departments reported these statistics voluntarily. Notably, there was little about reducing the use of military-style weapons by local police departments, though civil rights groups became extremely critical of the practice when armored vehicles and other equipment were used during protests in Ferguson following Brown’s death. Also absent from the recommendations was one requiring police officers to wear body cameras, an idea that has gained traction in the US. Last year, Obama mentioned that 50,000 body cameras would be made available to police departments with the approval of Congress. 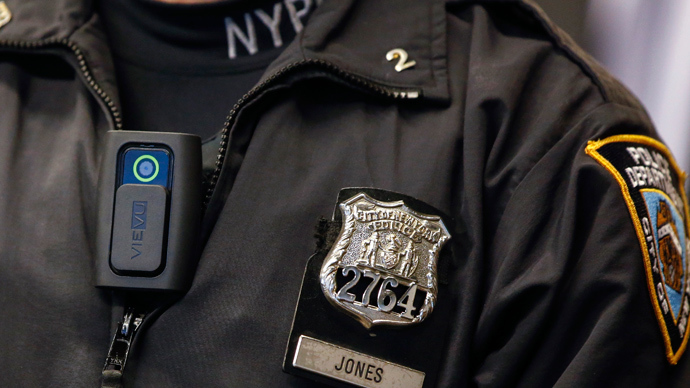 However, the new report called the adoption of body cameras "complex," raising questions of privacy and cost. Still, those concerns haven't stopped eight of the 10 largest police departments in the country, including New York and Los Angeles, from outfitting some police with body cameras. The LAPD is planning to have all officers who interact with the public in the future wear one.